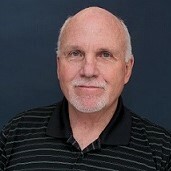 Dr. Richard Offutt is licensed psychologist in private practice in the Smyrna location of Georgia Behavioral Health Professionals. Dr. Offutt specializes in the treatment of children, adolescents and adults, using cognitive-behavioral and systemic family therapy techniques. Offutt has experience in treating PTSD in military personnel. Psychological evaluations using objective and projective measures are provided for the treatment of anxiety depression, and PTSD as well as general psychological issues. Dr. Offutt also conducts neuropsychological evaluations to assess neuro-behavioral functioning including cognitive and memory assessment. Richard Offutt also offers forensic assessments for attorneys involving legal situations as well. Dr. Offutt received his Bachelor of Arts degree from the University of Vermont where he also received his Master's degree as well. Dr. Offutt furthered, his studies and received his Psy.D. in Clinical Psychology from Antioch University New England. Dr. Offutt is currently honored to be a part of the Georgia Psychological Association and American Psychological Association. Dr. Offutt is a member of the National Register of Health Service Providers as well as, a Diplomate in Clinical Psychology, and the American Board of Professional Psychology.